Thinking about visiting Rocket City, USA? 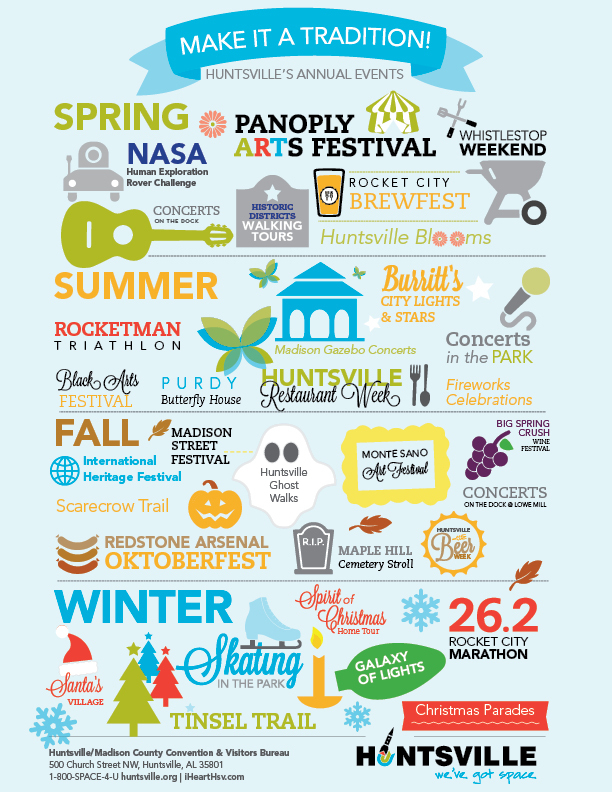 We humbly present you with this list of annual events that happen in Huntsville, Alabama every year. It&apos;s probably a good idea to plan your Huntsville getaway when one...or more..of these uniquely Huntsville events are happening.